A big advantage of Twitter is that while you can use the website, there are also dozens of Twitter clients that provide a streamlined way to use the service. Here we've rounded up six of the most popular. While we conclude which of them is, in our opinion, the best available, if you disagree, all you need to do to switch clients is launch a different application and add your login details. Is the app usable and are important features available? TweetDeck's Adobe AIR cross-platform origins result in a non-Mac-like and fiddly but powerful client, which enables you to define columns of varying content types. 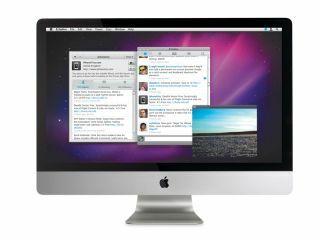 Conversely, Twitterrific is Mac-like but basic – it resembles a palette and only enables access to one account at a time, and so it's best suited to sporadic use. Nambu looks good in screen grabs, but we found its icon-heavy interface overwhelming and a little buggy. The other apps are broadly similar and usable. Switching between accounts is simple, and shortcuts enable fast access to important commands. Visually, Kiwi edges it due to theme support, but Echofon's minimalism and myriad keyboard shortcuts are welcome, even if its occasional lack of refresh on account switching and single post-window aren't; by contrast, Kiwi and Tweetie offer independent windows for posting. Elsewhere, Kiwi gains points for rule definition capabilities and displaying images inline. How easy is it to post tweets and attachments? Our requirements: posting to any signed-in account; a live character count; dragging images from Finder for upload; optional shortening of links. Twitterrific mostly failed, offering no assistance regarding images and links. Nambu also fell short – images can be added but not dragged from Finder. Kiwi disappointed a little. Link shrinking is slow, and we found Kiwi sometimes posted to an account other than that selected in its post window. Echofon impressed though. Images are shown as thumbs, which can be previewed via Quick Look, and you can post screen grabs or iTunes songs. Tweetie's post window is similar, and can be accessed via a system-wide hotkey. But TweetDeck is posting champion: you can post to multiple accounts at once, and the app has geo-location support and tweet scheduling. It's complex, though. Also, TweetDeck and Echofon don't have separate post windows, so no working on multiple tweets.